Pre-requisite is an approved Beginning Obedience class. This class will continue to perfect the Beginning Obedience skills and teach additional skills which are needed to compete in Obedience and Rally. The dog will learn to go to heel position from front, stand for examination and maintain timed sit and down stays with distractions. Further work will be done on keeping your dog’s attention, maintaining proper heel position and achieving straight fronts on a recall. Even if you do not plan to compete, this additional training will strengthen good behavior and build a wonderful bond between you and your dog. Dogs should know heel position, sit, down, come, have a solid stay and the basics of a finish. 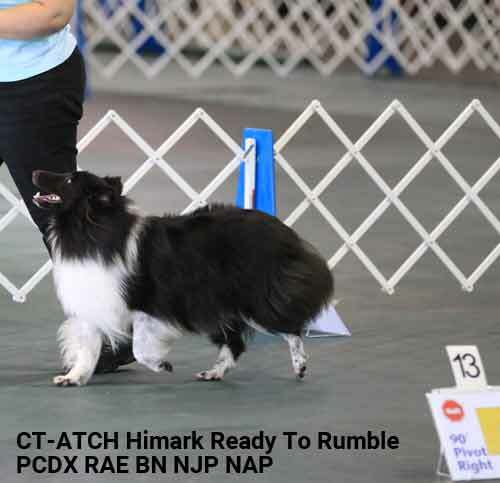 This class is an introduction to the AKC Beginner Novice (BN) and Rally competition classes. Both of these classes are excellent places to begin showing your dog. You will learn off leash healing, handling skills and show preparation. The goal of this class is to prepare you for showing in BN and Rally. This class is designed to teach handlers how to communicate with their dogs by using body language along with verbal commands and how to perform the AKC Rally exercises. Rally is an Obedience venue where handlers and their dogs navigate through a fun course of exercises and are judged on the execution of each exercise. It is an exciting way for handlers to get their dogs ready for the AKC Rally Novice and Novice Obedience titles or just have a great time with their dog. This class focuses on Rally Novice and Intermediate signs. All class work is performed on leash. Pre-requisite is completion of Basic Rally Course and instructor approval. This class is designed to continue working on Rally skills and focuses on Rally Excellent and Masters signs. Students will learn additional Rally skills, work on perfecting their skills and begin working off leash and learning jumps (broad jump, bar jump, high jump). This class is designed to prepare students to obtain AKC Trick Titles at the Novice and Intermediate levels. It will cover most of the tricks outlined in both the Novice and Intermediate Trick Testing Guidelines. At the end of this 6 week class, the student should be able to successfully pass Novice and/or Intermediate trick testing for an AKC Title. Though it is encouraged, testing is NOT required. For those not interested in either testing or titling, trick training is still an excellent way to build a bond between dog and handler, foster attentiveness, thoughtfulness and creativity as well as work on the many building blocks that go into a well-rounded, obedient dog.